What better way to start the year than to embrace plant-based positivity. 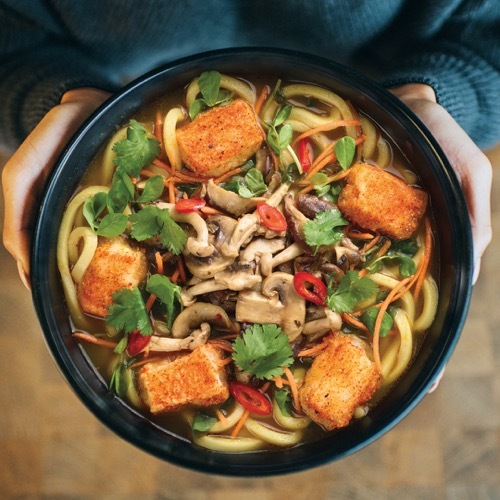 Head to wagamama for meat free Monday and take your pick from their vegan favourites. Will it be the warming kare burosu ramen. Crispy shichimi coated silken tofu, on a bed of swirling noodles in a curried vegetable broth, topped with crunchy carrot, pea shoots and coriander? or the vegatsu. The vegan take on the iconic katsu curry. Seitan coated in crispy panko breadcrumbs, covered in an aromatic curry sauce with sticky white rice.